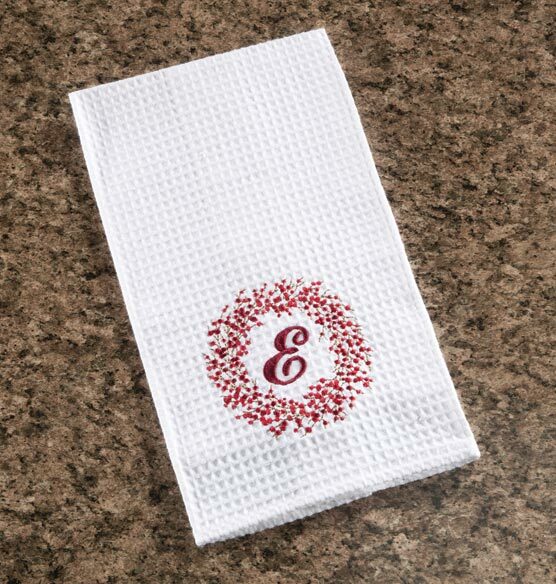 Accent a countertop or stove for the holidays with this festive monogrammed Berry Wreath kitchen towel. An embroidered berry wreath encircles a monogram, creating a highly detailed holiday design. The waffle weave personalized towel is beautifully decorative, yet also functional and absorbent. Makes a wonderful gift idea. Nice to help add Christmas cheer to the kitchen.